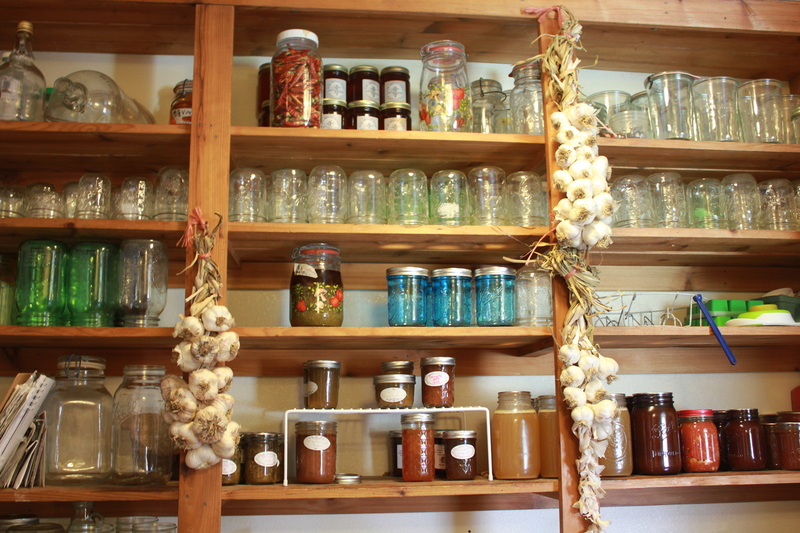 Hardneck garlic has a much shorter storage life than its softneck cousins. 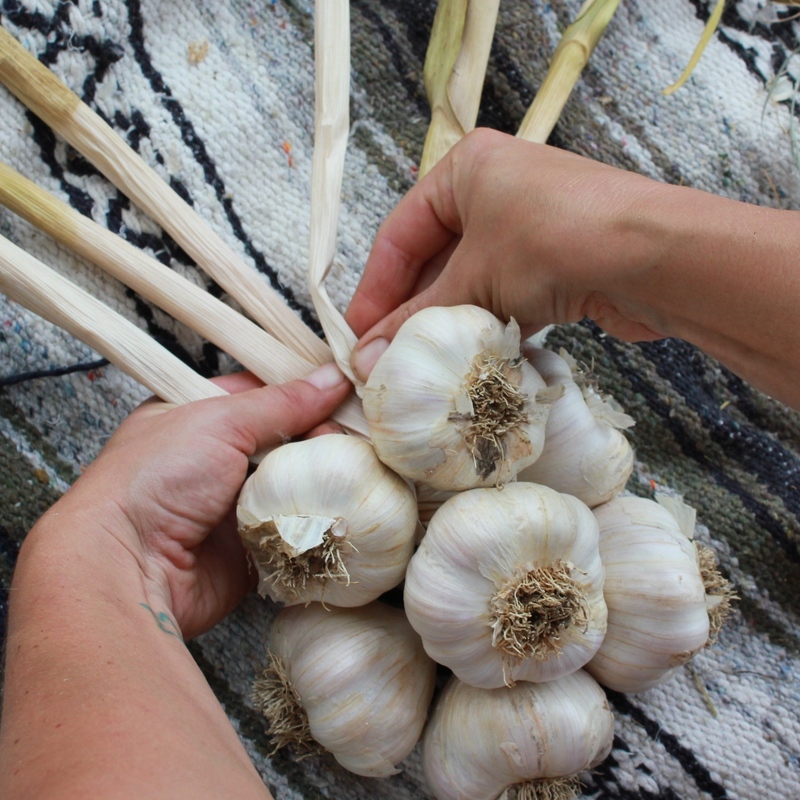 The cloves are larger and more flavorful than most softneck varieties, making hardneck garlic the perfect candidate for dehydration. Remove the paper wrapper from all the cloves then toss them into your food processor with the slicing blade: voila: tons of perfectly sliced garlic! Place the (stick) garlic slices in an even layer for best dehydration results. We fill my Excalibur (budget some time here, it is a little painstaking but WORTH it) then set it to dehydrate at 115 degrees for around 12 hours. Test a slice to be sure they’re dried brittle and add more time if not. 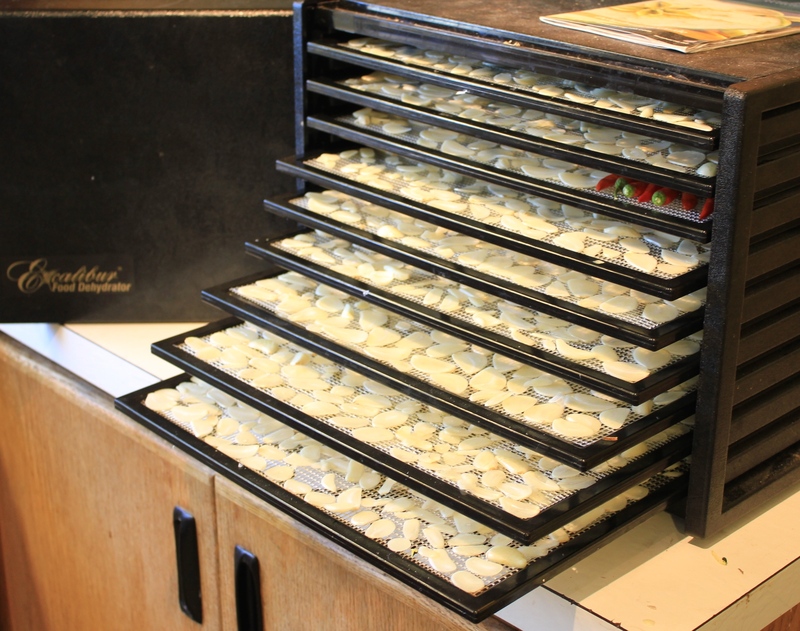 I store my garlic in glass jars and grind for powder in smaller batches closer to use: garlic powder has the tendency to clump. If you’re not up to braiding, cut off the roots and stems and store in baskets or cloth bags.